Emmy® Awards are presented to individuals, not to their employers. It is the individual’s achievement that is being judged and recognized. 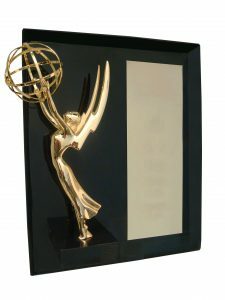 Ownership of the Emmy® statuette is retained by the individual and The National Academy of Television Arts & Sciences, even if an employer pays the entry fee. Stations may contact the office for information on purchasing commemorative statuettes. Send the damaged/broken statue (and all the pieces – yup, every bitty one) with a check for $250 payable to: NATAS-Heartland, 1247 Eureka Court Highlands Ranch, CO 80126-2749. Include your name, mailing address (no PO Boxes, please). A replacement statue will be sent to you via UPS within 4-6 weeks. 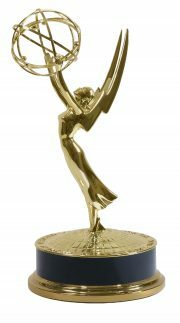 The Heartland Office can only replace statuettes that were awarded in the Heartland Chapter! We have a limited supply of the rectangular-base statues; let us know if you want to replace it with the same style, or upgrade to the round-based version. Never (ever, ever) discard your damaged or broken statuette! If you don’t want the broken pieces, we do; please send them back to the office at any time for us to care for. Production certificates, suitable for framing, are available for $25 each. 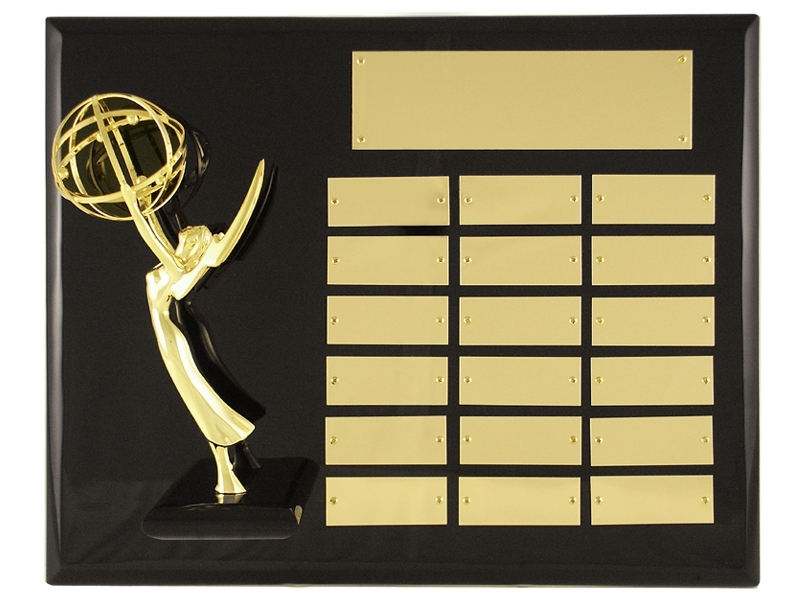 The producer must contact the Heartland Chapter office to make the request, and provide the person’s name, show credit, name of award-winning show, year of award and category of award. All plaques are for hanging on the wall. 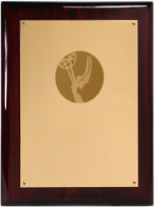 They are black with a beautiful piano-key finish with a brass plate and a replica Emmy statue. All plaques are shipped directly to the recipient from the manufacturer. All engraving is done by the National Academy. To order, contact the Heartland Chapter office with your request and we’ll proceed from there. Contact the office directly for eligibility requirements.